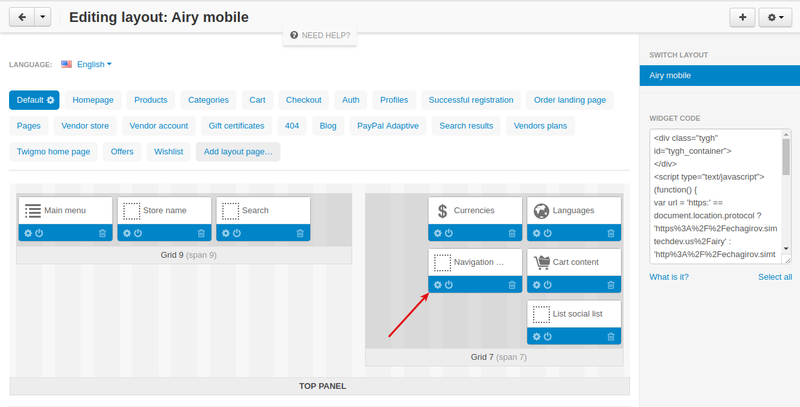 Our Airy Mobile theme is made with mobile-first approach in mind. 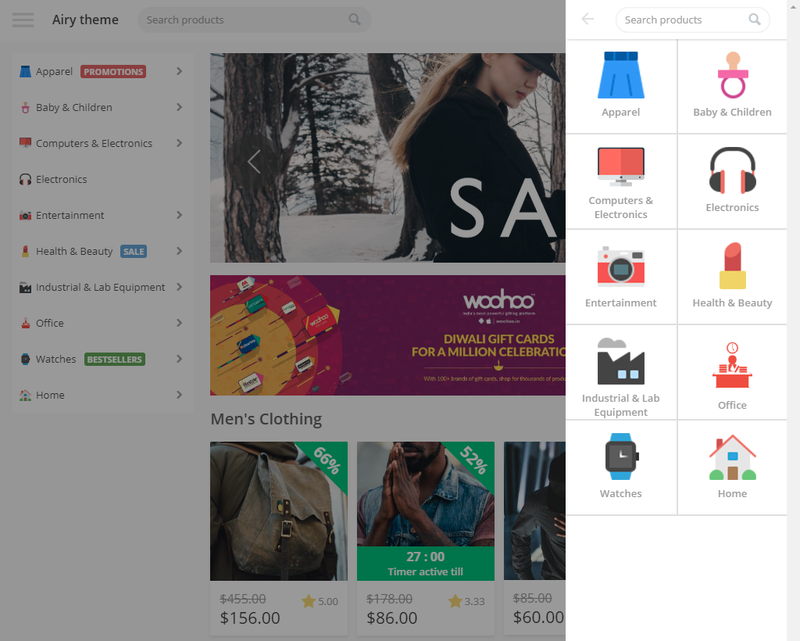 This theme will be especially suitable for stores with a big catalog of products like eBay or Amazon. 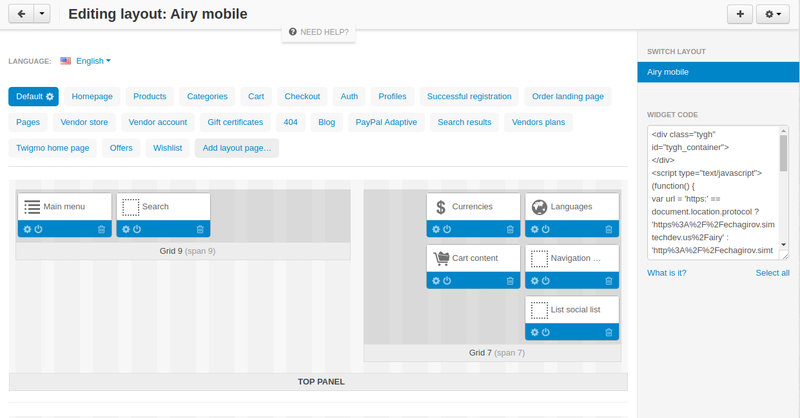 Check out our Airy Mobile to show you a glimpse of the store look and feel. 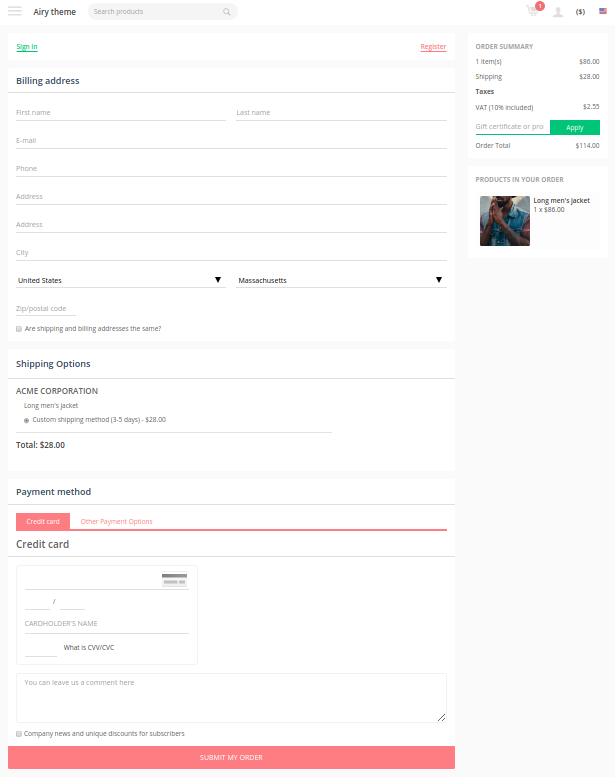 Adds custom blocks to the store. 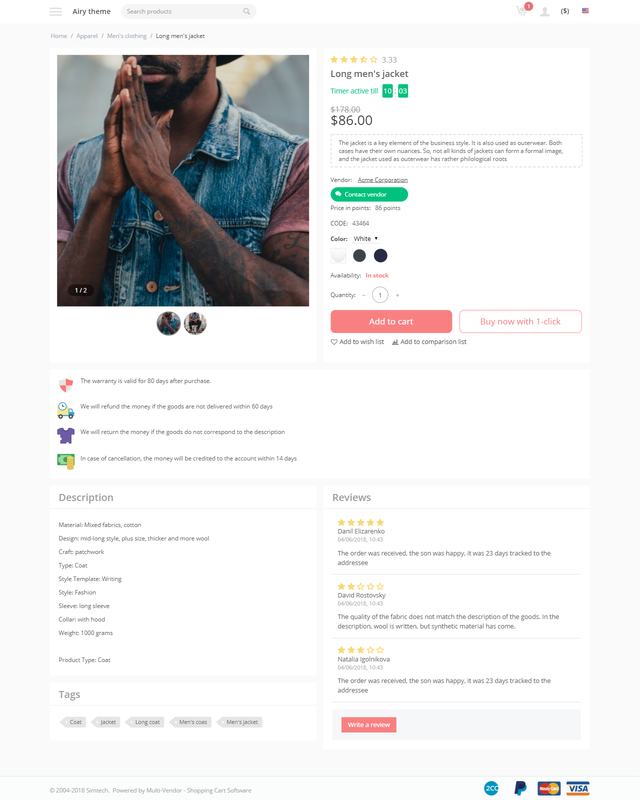 Go to Design > Layouts. 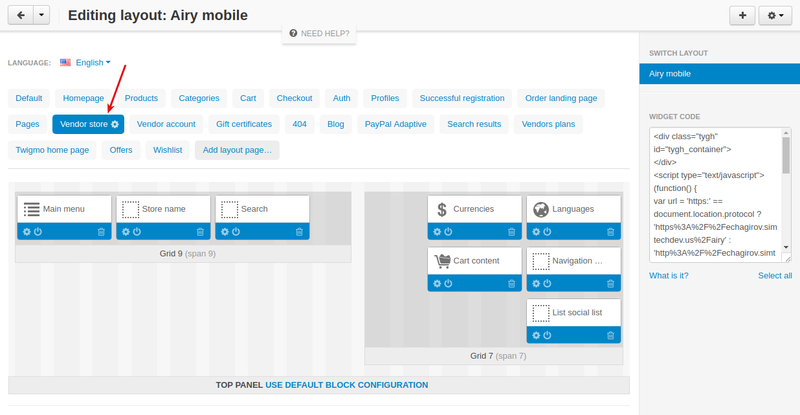 Navigate to the layout you would like to add the block to. 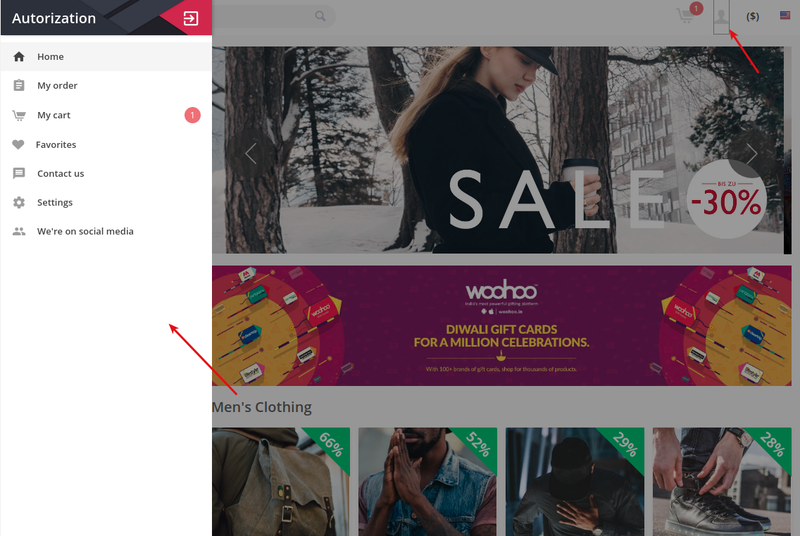 Locate the necessary container and click the + button to add a new block. 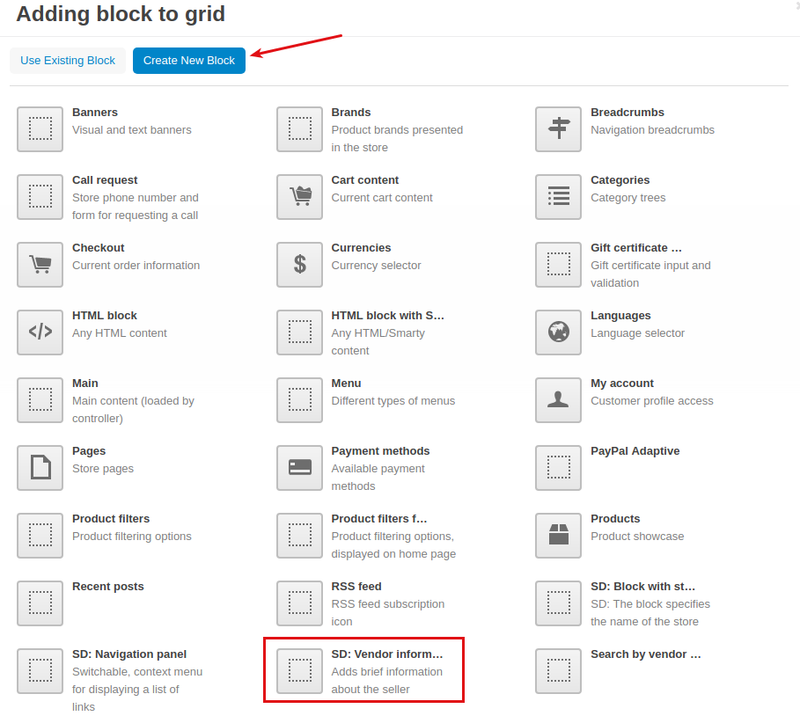 Switch to the Create new block tab and select the SD: Block with store name block. 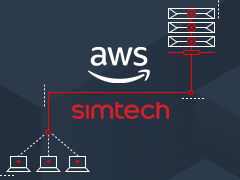 Enter a name for the block, select the SD: Store name template. 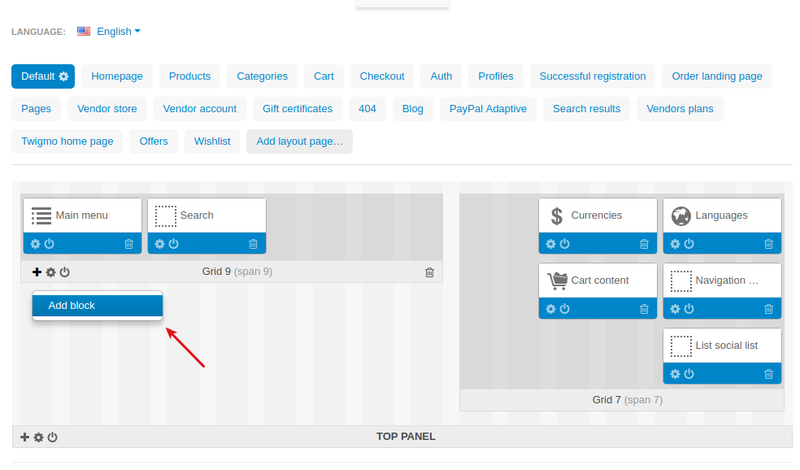 Then, click on the Settings and enter the store name to the corresponding field. 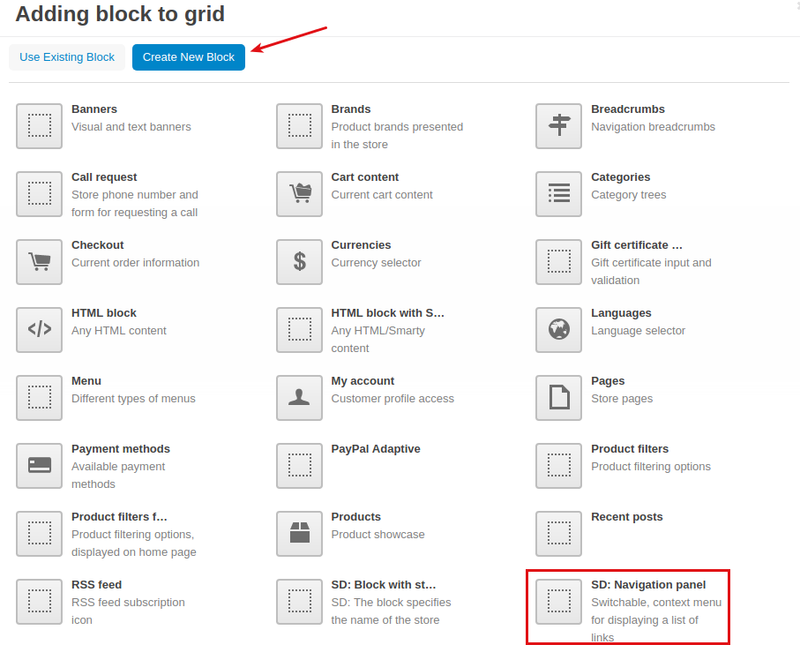 Switch to the Create new block tab and select the SD: Navigation panel block. 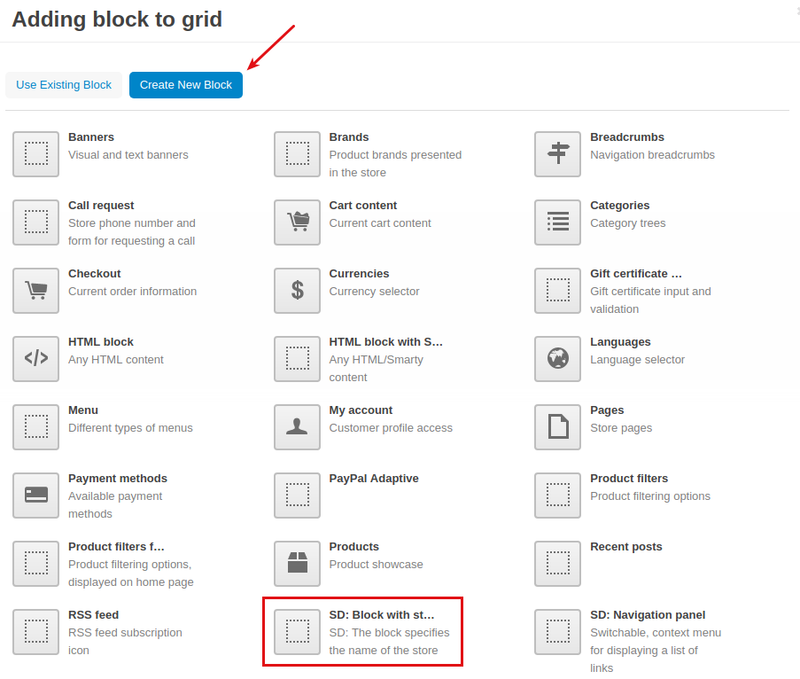 Enter a name for the block and select the SD: Navigation panel template. 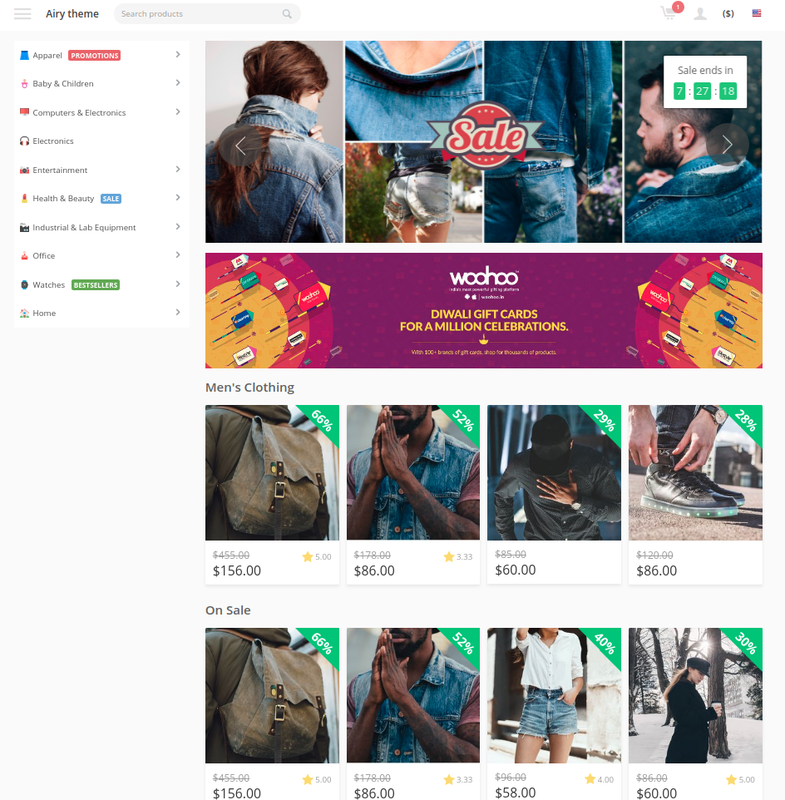 Navigate to the Vendor store layout or another layout where you would like to add the block. 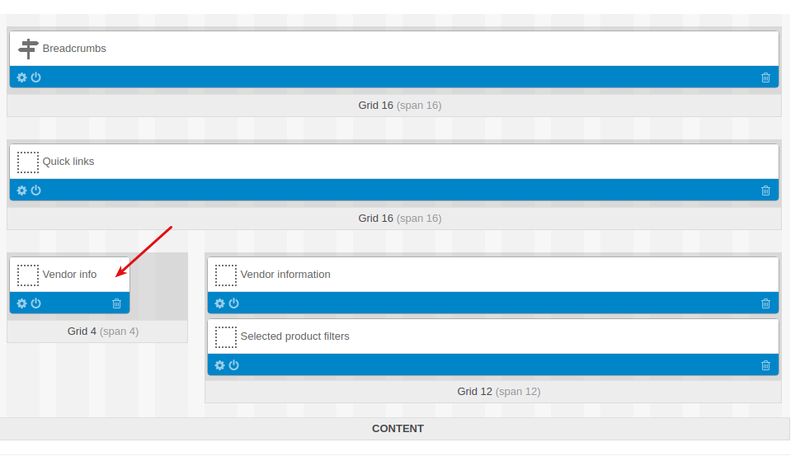 Locate the necessary container, create a grid if necessary and click the + button to add a new block. 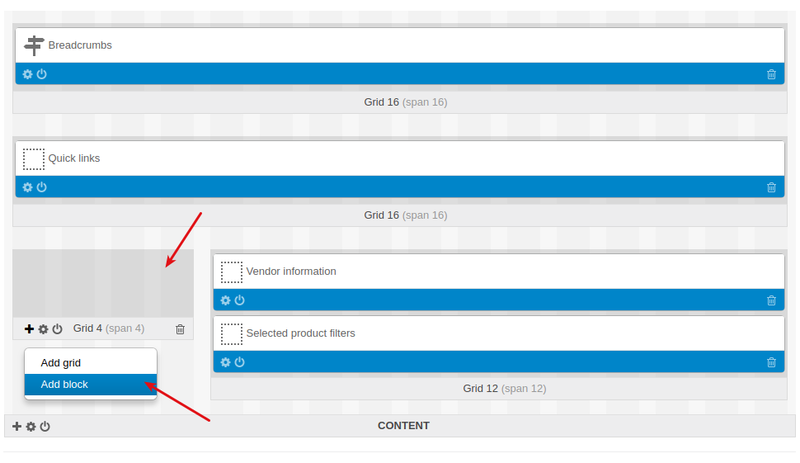 Switch to the Create new block tab and select the SD: Vendor information block. 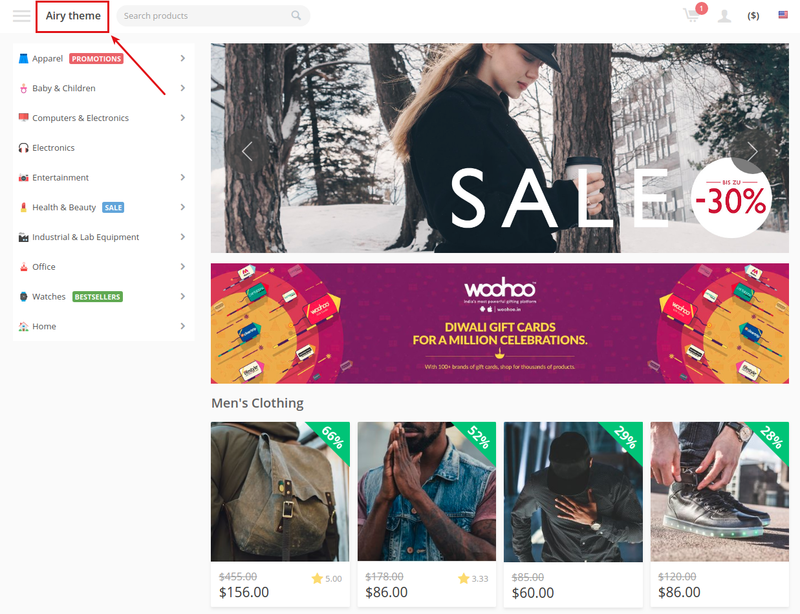 Enter a name for the block and select the SD: Template with information about the seller template. 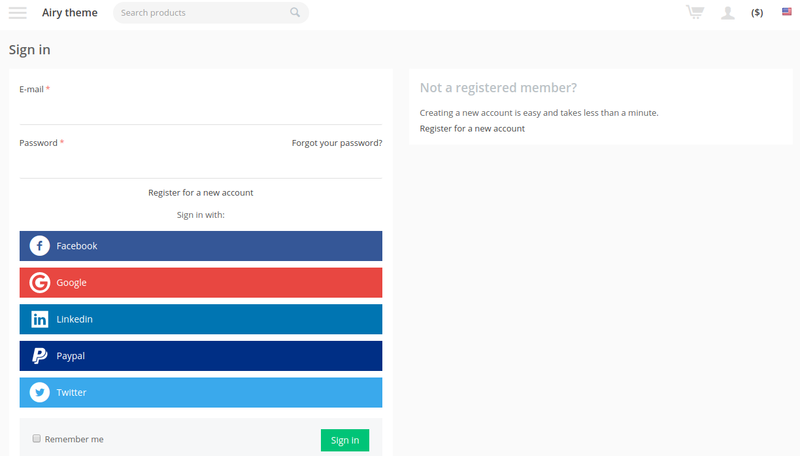 Allows customers to sign up using their accounts on social networks. 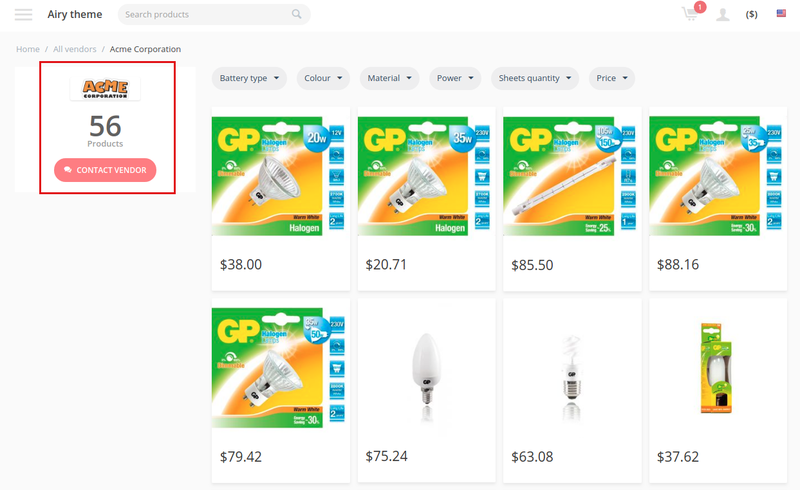 Converts the standard multi-page checkout into one-page checkout.